Zambian Hip Hop artist Bombshell, comes into the music scene much like her name may indicate. She is an artist that freely expresses herself and is not afraid of laying down impressive beats and verses. She empowers women through her music videos and music, specifically the song XBass, which carries itself in braggadocio hip hop manner. The music videos has strong images of fire, cars, and Bombshell wearing outfits that highlight different parts of her. For example she wears a track suit that seems to be a nod to her being a hip hop artist, a dress that highlights her body and her comfort with herself, and a long dress-queen like outfit which indicates she is the queen of hip hop. She references her a lot of hip hop culture in this video by conjuring the image of the b-boy with the speaker and even having b-boys in her video. I think this does a lot to prove her connection to the culture and authenticity. 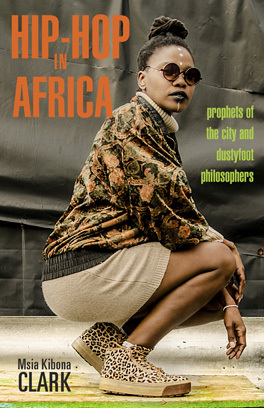 In the song she delves into the complexities of being an empowered female African artist who lives an artist lifestyle, but realizes how she lives her life as a woman may be in conflict with expectation and standards of “good” women. The song brags about her power, but at one point it cuts to a religious setting with nuns, not priest, and a confessional. Bombshell is in the confessional apologizing for the life she leads, but she says she can’t stop because she is the best. She recognizes this conflict and owns it as a woman, and even through this she is able to rise to top with her music. She says this explicitly, but also, visually by the way men are portrayed in the music video. The men serve as her subservient. Also, when she portrays the moral conflict, women are the religious leaders. Women tend to be the focal point that are glorified and celebrated.